AI is taking the Retail industry by storm and companies are keen to understand more about direct to consumer engagement. Retailers are reaping the benefits from Artificial Intelligence and Machine Learning to help improve their brand relevance and customer experience. 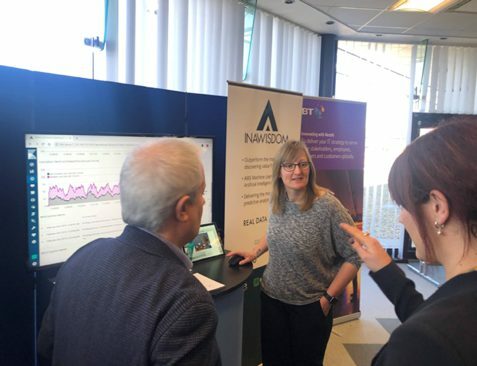 As part of the Innovation ecosystem, Inawisdom, were invited to speak and showcase how customers today are harnessing the power of AI & ML within this space. The event welcomed over 20 guests from one of the biggest CPG companies in the world. At the ‘Store of the Future’ workshop, Neil Miles, CEO and Co-Founder introduced Inawisdom and Alla Main, Business Development Executive shared the Retail vision, AI/ML value proposition for project examples already making improvements to the top and the bottom line, and the emerging trends, helping retailers and brands to stay relevant to consumers. These include Customer/Conversion Analytics, Personalisation, Demand Forecasting, Price Optimisation, Speech to Text analytics, Image/Face recognition as well as Social media monitoring for brand sentiment and trends. Throughout the lunch, the team shared their experience on how retailers and brands could benefit from AI technology by showcasing Social Media Sentiment Monitoring and Facial Image Analytics. Would you like to understand more about how we are helping customers in this space? If yes, then please get in touch here to speak to one of our experts.